Kairos Pegasus SA won two prestigious awards at the 17th edition of the EuroHedge Awards, one of the main annual events in the industry’s calendar, which was held on Tuesday, 24 January at The Grosvenor House Hotel in London. Kairos Pegasus SA, a reserved alternative investment fund which invests primarily in the European equity market, came first in the “Fund of the Year” and “European Equity – over $ 500m” categories, thanks to a return of 54.49% in 2017, compared to the benchmark (7.76%). The overall performance since its launch was, by contrast, 182.76%, compared to the benchmark (3.75%). This award-winning strategy, able to take advantage of “special situations” and gain value from them, was used by the management team, spawning, in 2016, a similar product in UCITS form, KIS Pegasus UCITS, a flexible equity sub-fund of the Luxembourg Sicav (investment company with variable capital) Kairos International Sicav. 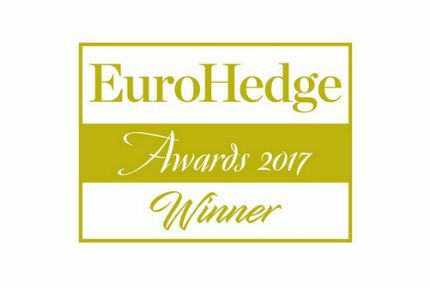 The EuroHedge Awards celebrate the excellence of funds in the European hedge fund sector: in fact, every year, more than 700 hedge fund managers, investors and other industry professionals meet to reward products that set themselves apart for reporting the best performance during the previous year. The evaluations are performed according to a consolidated quantitative methodology, based on the best risk/return ratio (Sharpe index).